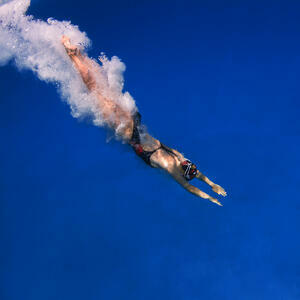 Getting into inbound marketing takes more than dipping a toe at the edge of the pool. Dive right in – the water’s fine! Just ask the thousands of companies that have used inbound marketing over the past several years to boost their online presence, help prospective clients identify them and create logical pathways from casual web visitor to paying customer. Getting inbound right is a matter of following market-tested steps and processes. Just as you wouldn’t run a display ad or a radio spot in a media that doesn’t appeal to your key audience, neither would you create web assets that don’t speak directly to the people most likely to be interested in your products or services. How do you reach the people looking for your services? Narrowing a target audience out of the untold zillions online at any given moment – and engaging them enough to find out more about your company – gets a boost from customer personas. Personas are fictional characters based on the qualities of actual prospects and customers. By knowing more about them – their ages and income levels, their jobs, professional interests and concerns, their social media preferences – you can craft strategic messages just for those people. Tip: As enticing as it sounds to reap 10,000 visits-per-month, if 9,900 of them aren’t among your target, that’s a waste of time and resources. Better to appeal to a smaller, but more promising, group of visitors. Work with your inbound marketing specialist to conduct market research that will put you on a path to create customer personas. There are many ways to create a wonderful website and many other ways to assemble a disaster. Most business sites fall somewhere in the middle, but you can tilt yours closer to wonderful by always remembering that it’s not about you … it’s about your visitor. Customer focus is job one. A hyper-artsy, Flash-riddled homepage might win web design awards but few admirers among visitors. Once somebody comes to your site, you have maybe 5 seconds to let them know they’ve arrived at the right place. That starts with having your name prominently displayed, employing an SEO-rich description of your company, and designing clear, customer-focused navigation. Tip: Put yourself in a customer’s shoes, and think of five relevant issues, interests or concerns a typical prospect may have regarding your industry. If your homepage doesn’t answer at least one of those questions, you’ve got some rewriting in store. Ever stumble on a site that has little or no contact information? It doesn’t get more frustrating. Ensure yours has prominent, diverse contact channels – not just email, but a phone number (connected to an actual human) and social network links, plus a mailing address if you’re the brick-and-mortar type. The foundation of inbound marketing, content builds credibility – no small claim on the Internet, where anybody and his brother could claim to be an expert in your field. When people interested in your product or service go online, they’re not looking for ads – they’re looking for insight. Give it to them in the form of blogs, videos, articles, interviews, whitepapers, etc. … whatever media suits them best. Publish strategically, and often. Multiple blogs per week are not unusual among successful inbound marketers. Tip: See what your competitors are blogging about – then offer something newer, more interesting and more helpful. The best content delivers an “I never knew that” response based on deep knowledge of your field. Don’t fall into the trap of creating a dressed-up ad or infomercial. Don’t ask visitors to make a purchase decision. You haven’t gained that much credibility… yet. Instead, include a compelling call to action on each piece of content that brings prospects closer to your website’s landing page. “Conversion” is inbound-speak for getting a prospect from one level to the next – from casual visitor to qualified lead, then from qualified lead to paying customer. The mid-funnel conversion, from visitor to lead, is a vital step. Ideally, your high-quality content has gathered enough interest that people are using the call-to-action to learn more. Don’t send them to the homepage – send them to a landing page. Landing pages differ from homepages in that they have one job to do: offer a premium to the visitor (an exclusive piece of content, a free consultation, a special rate) in exchange for contact and other information the visitor submits through a lead-gen form. Tip: A good lead-generation form is neither too brief to determine whether your lead is qualified, nor too dense as to scare off a visitor with lengthy or too-personal questions. It often takes a few iterations to develop the ideal form. Later conversion channels include generated or personalized emails and even ol’-fashioned phone contact from your sales staff. By that time, you should have built a good foundation of credibility. How do you measure the ROI of your inbound campaign? Your web marketing partner can show you many ways to measure click-throughs to your site, time-on-page, lead-gen conversions – which you can then measure against new-customer conversions and purchases. Tip: Give it time. Inbound marketing doesn’t produce overnight results, but it’s not meant to. Instead, it lays groundwork for a more qualified, more targeted group of prospective customers than you would otherwise find online. The results you find will influence how you adjust or revise your inbound tactics to produce even better outcomes in the future. There’s a reason inbound marketing has eclipsed radio, Yellow Pages, cold calls and so on: It reaches the right people where they are – online – and gives them a reason to put their trust in you.